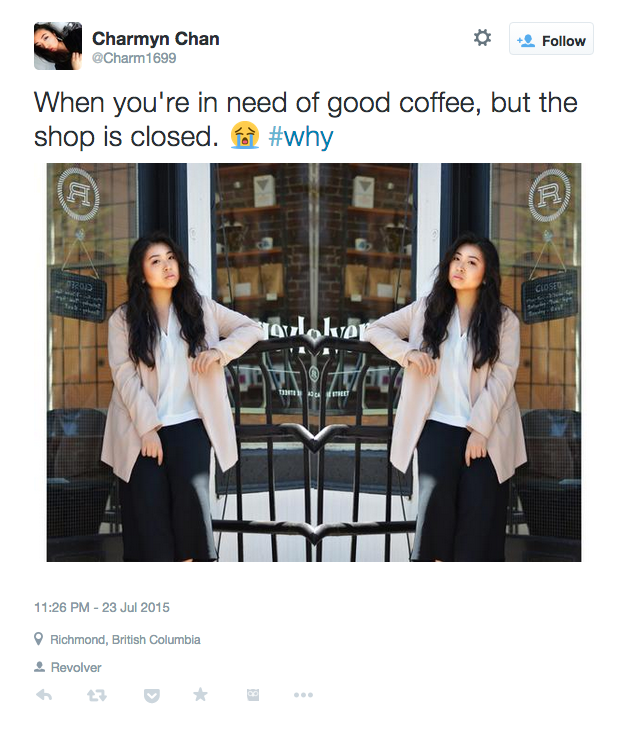 How would a manager at a major retail chain use social media in their day-to-day job? This 18-minute plan gives you the exact steps you need to increase foot traffic with social media. One of the fastest rising trends for retail is social executed at the store and shopping center level. In the past, social media was a specialist skill owned by agencies, marketing departments, and PR agencies. Now social media is everyone’s job. For example, our Social Business Index (a study of more than 750 enterprise businesses) found that 72 percent of organizations reported an increasing number of departments using social media. A step-by-step guide to increase in-store traffic with social media. If social media is everyone’s job in retail, your managers and employees need some concrete actions to get them going. Use this 18-minute plan to help them build the digital skills they need. Ideally, if you work at a large brand with local stores you’d create dashboards (with your social relationship platform) for each location. Of course, you’d also want to offer training for managers as well to educate about your social media policy, security, and industry best practices. 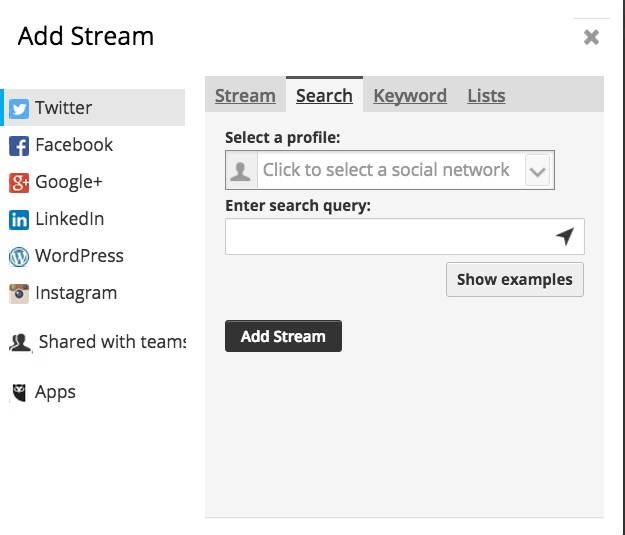 Go to Hootsuite.com and open up a new search stream. Click on “Search.” Enter the keyword you want to monitor. Then click on the geocode button. 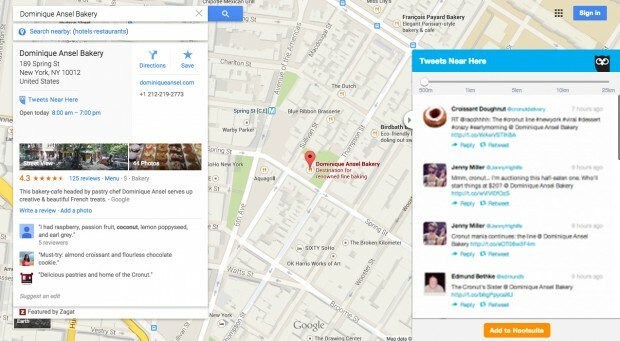 Now, you will only see Tweets a few blocks away from your store’s location. The geocode button is the small arrow in the search box. For example, below is a local conversation we found around Hootsuite’s Vancouver office by monitoring “I need coffee.” This would be a good moment for a nearby coffee brand to reach out. The key is to keep these searches focused on your location’s neighborhood. You might not find hundreds of results but the updates you do find will be valuable. Save the search stream and check back tomorrow. These searches can be worth a lot—for example, a “wedding gift” interaction might bring $500 to $1,000 in new revenue from a few moments of work. Install this free extension to your Hootsuite dashboard. 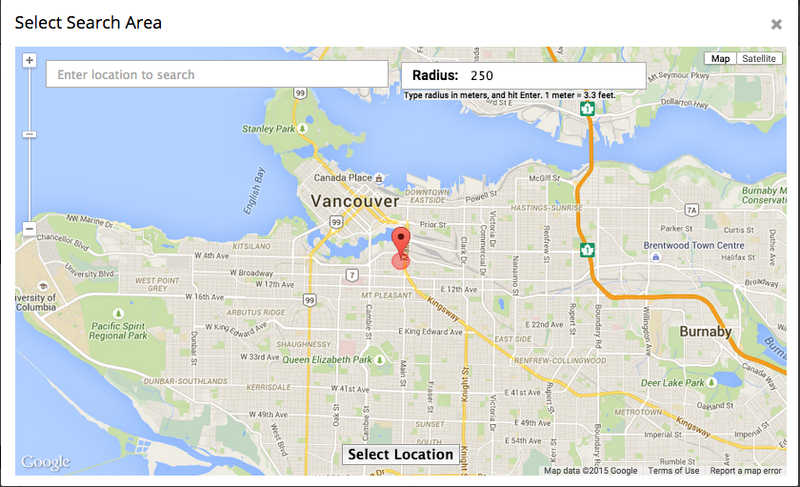 With Hootlet, when you search for a specific location in Google Maps, a button called “Tweets Near Here” appears. Clicking that button brings up a new window full of Tweets from people nearby in an adjustable range of anywhere from 500 meters to 25 kilometers. An example of how Hootlet pulls Tweets into Google Maps based on the geographic location that you search for. Go to Google Maps and look for your store’s location. As you’ve added Hootlet (see above), you’ll now see “Tweets Near Here” when you search for locations. So enter a search (such as your store’s address) and then click on the new blue “Tweets Near Here” link that appears. Look for happy customers talking about your store nearby—surprise them with a special deal or just a thank you. You can also click “Add to Hootsuite” and you’ll see Tweets near your selected location inside the Hootsuite platform. When we make a big purchase (a house, a vacation, a guitar), we are primed to buy related products. Let’s say you work at a chain of music stores. 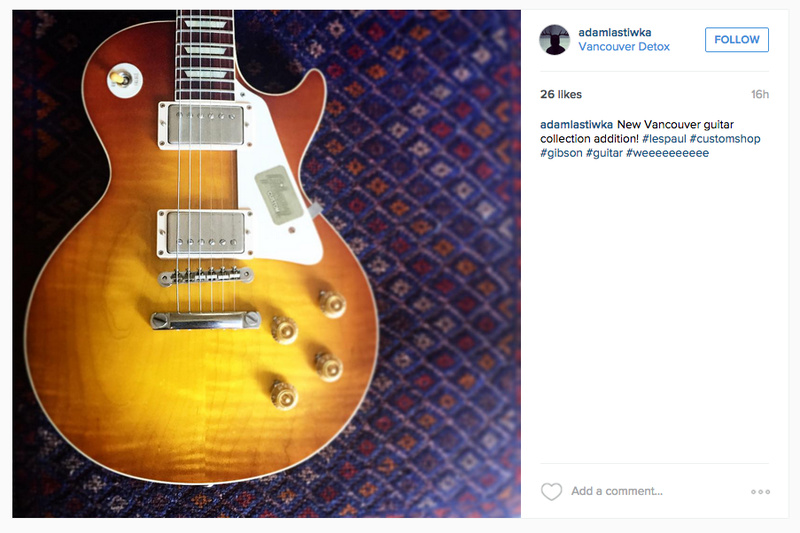 You could look for people taking pictures of their new guitars and then send them a special discount for your in-store guitar lessons. We found the young man below celebrating his new guitar purchase near our office. With Hootsuite’s Content Library, your head office can upload pre-approved social content, images, and national campaigns. That way, thousands of frontline employees can extend the reach of branded content. It also helps your store share interesting content beyond only talking about products and promotions. If your organization has this solution, you’ll see it right in the Hootsuite platform. Select a piece of branded content to amplify (such as your brand’s funny new YouTube campaign about an upcoming sale), and publish it on your store’s social media accounts. Let’s say that your head office has launched a national Instagram campaign to promote a new line of baby running shoes. The contest asks new mothers to enter a picture of their baby’s first step on Instagram to win a shopping spree in a local store. You can help amplify that contest by reaching out to local Instagram users. This app shows you users that are posting in your local area. 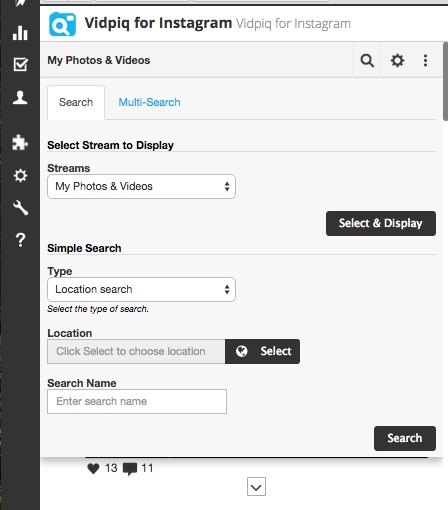 You can monitor for location, hashtag, or combine search terms for advanced listening. It’s great for joining the conversation at local events and connecting with nearby customers. Look for local consumers who might be a good fit for your brand’s social contest. Invite the local shopper to enter your official contests. This is a real photo from a local consumer we found with Vidpiq. It’s from a beach close to our Vancouver global headquarters. To start, look for complaints about your competitors. For example, perhaps a consumer is unhappy that a big box store competitor closes early on Sunday and had planned to buy a new TV today. Or look for positioning that isn’t resonating with customers. For example, a new ad campaign for a fashion company might miss the mark. You’ll be able to avoid making the same mistakes. With Hootsuite Analytics, you can set up real-time alerts for unusual spikes in volume. Use this real-time data to conduct competitor benchmarking (for example, at a fashion week event you can see which designers gain the lion’s share of social media attention). A line graph will show you the daily ebb and flow of interest on social media, as new products, campaigns, and events are launched with different degrees of success. This gives a clear picture of how your digital presence is stacking up against rivals. 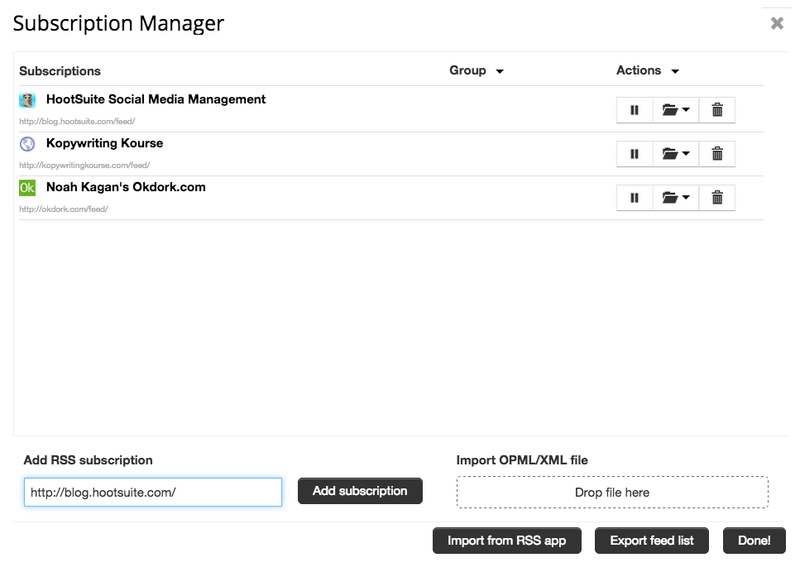 Use Hootsuite Syndicator Pro to pull all your competitor’s blogs into one stream. This makes it easy to see everything they publish, saving time and making it easy to remember to check out their new content. Go to Hootsuite Syndicator Pro. In the “Add RSS Subscription” bar add the URL of the blog or website you want to track. Now, you can read every new post right inside Hootsuite.